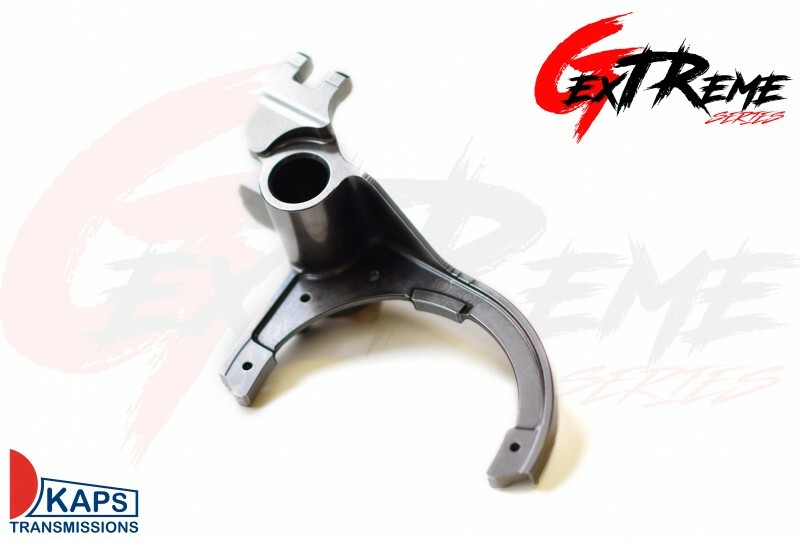 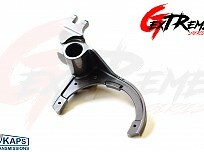 The KAPS Transmissions EXTREME SERIES selector fork 1/R for the Nissan GTR is made from a solid billet piece of high strength steel and carved to perfection. 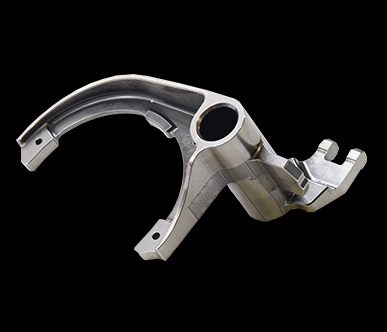 Its precision in design and engineering means it is lighter and stronger and can withstand any beating in the toughest conditions. 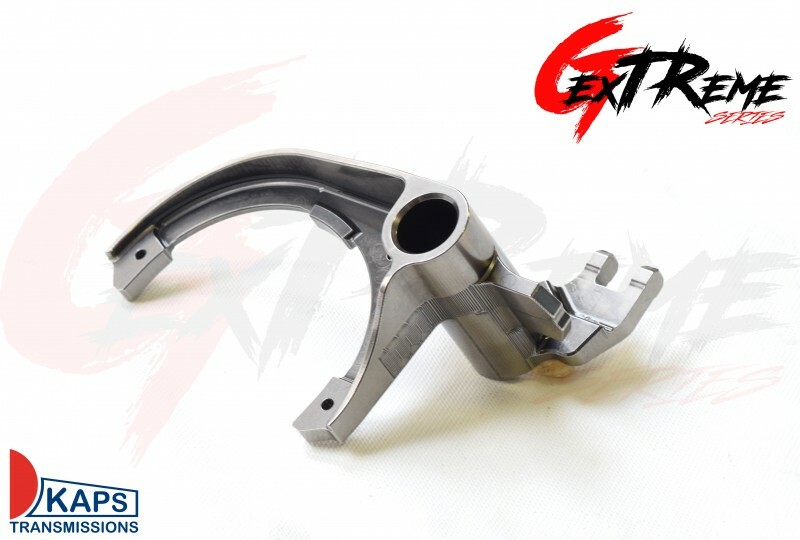 It has been chemically treated to be extremely durable and finished with REM isotropic superfinishing to reduce friction and decrease heat.